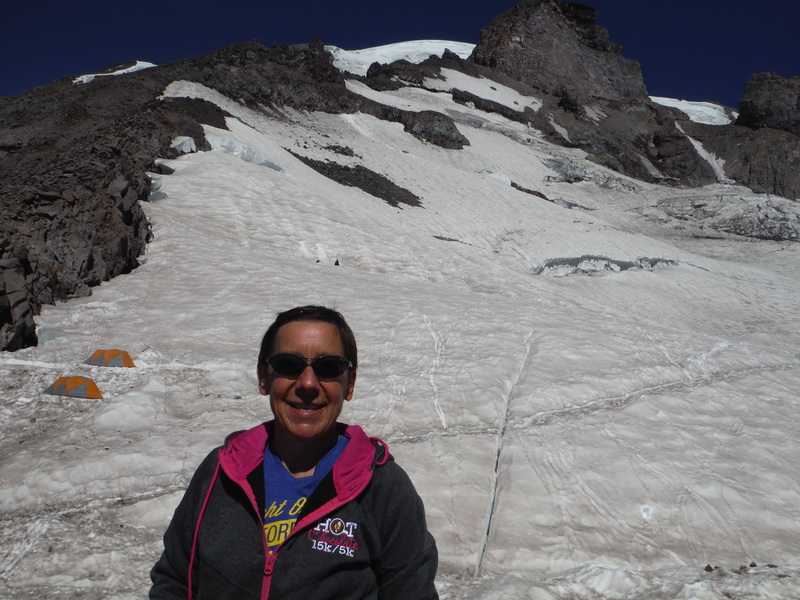 Hiking to Camp Muir on Mt Rainier! 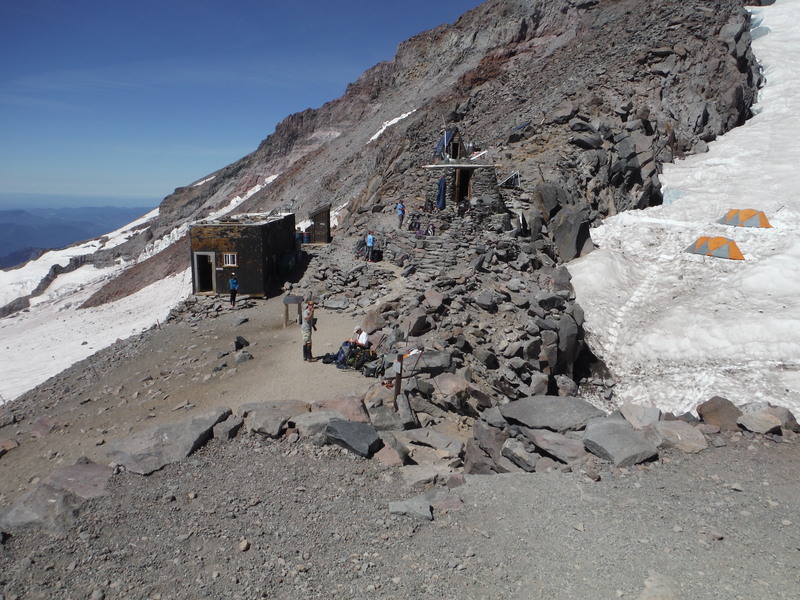 On Saturday I hiked to Camp Muir on Mt. 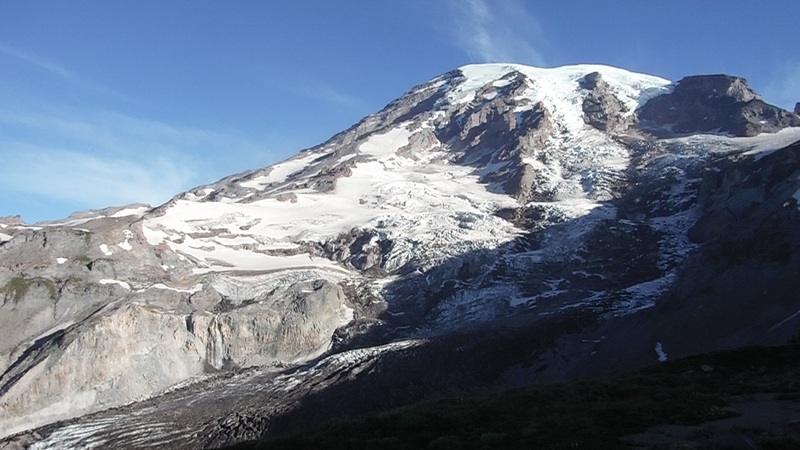 Rainier at 10,000 feet! My friend Laine and I left after work on Friday. It is about a 2 hour drive from Seattle. We stayed at Whittaker’s Bunkhouse. It’s rustic to say the least. We only planned this about 3 weeks ago and they had the only available rooms in the area. It was clean and the wi-fi was working but no television, fridge and the pillows were like pancakes. We arrived at Mt Rainier’s Paradise Visitors Center at 6:30. We were hoping to beat the heat and sun. It was going to be 90 and sunny. 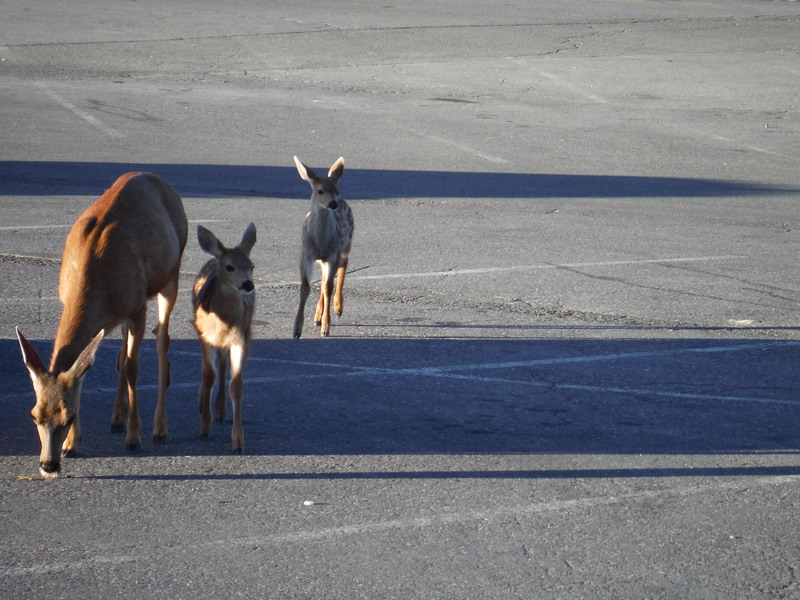 We had some visitors in the parking lot. The first few miles are a relatively easy hike to Pebble Creek. 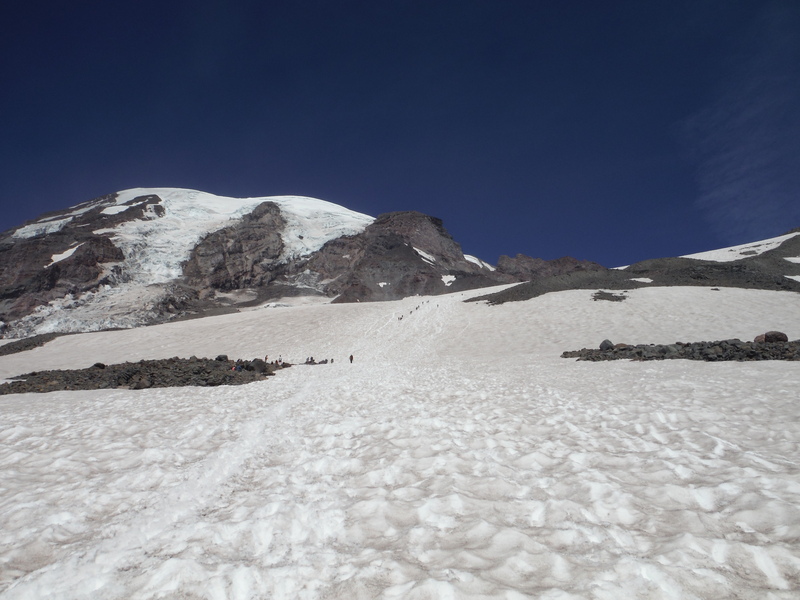 After you cross the creek, the snow field begins and goes straight up for the next 2 miles. Yes the dots are hikers. It was long and hard. Even when you see the camp, it is still about 45 minutes away. We ate and rested for a bit at the camp. We had amazing views and the pictures do not do it justice. 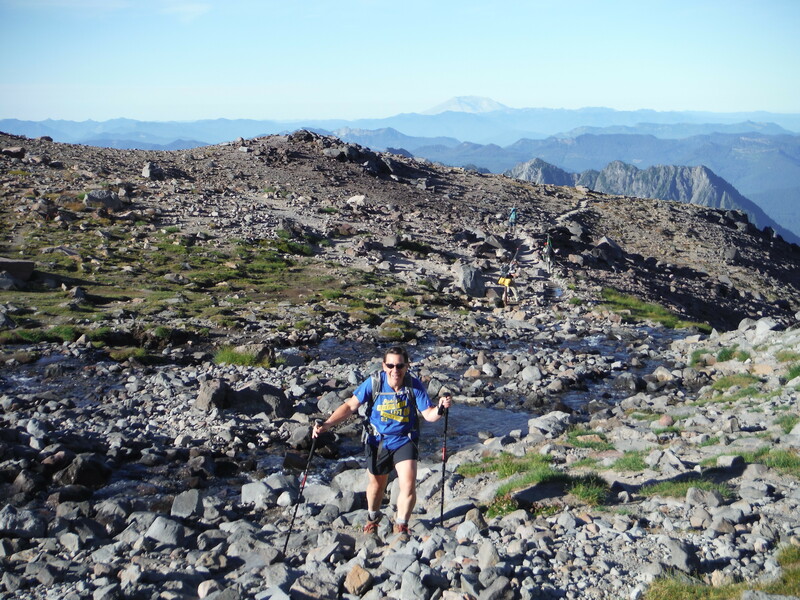 Compared to my Mt St Helens hike this was perfect weather. We headed down the trail and many people were heading up at this point. The snow was not easy to hike down and we had to get used to a step. slide rhythm. 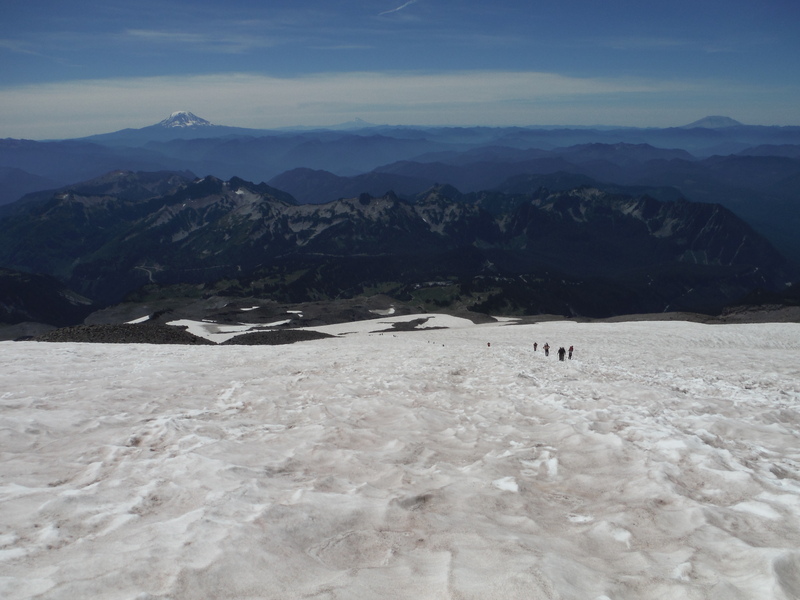 I tried to glissading down a shoot, but the snow was soft and with my shorts on I didn’t get very far. It was a great hike and is definitely making me consider going for the summit. Maybe next year? All pictures are from Laine. 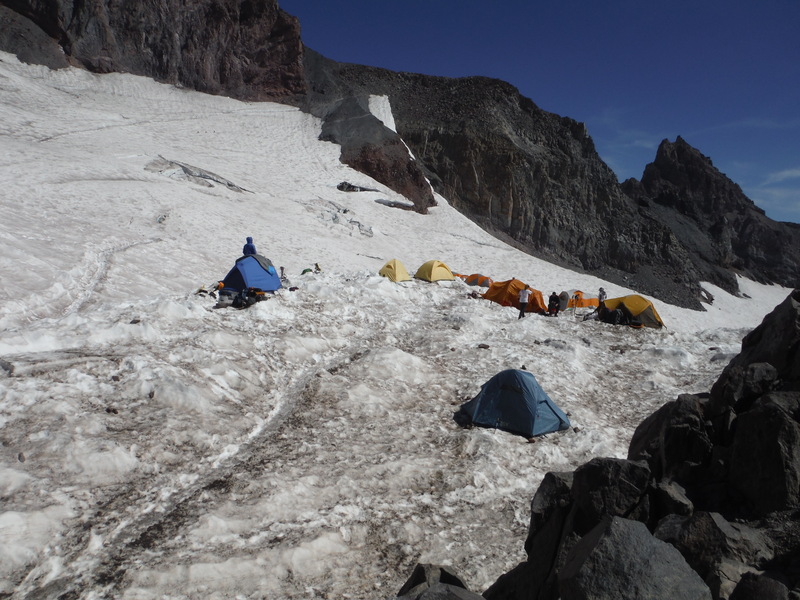 This entry was posted in Uncategorized and tagged Camp Muir, Hiking, Mt Rainier. Bookmark the permalink.